UKTV has updated its on-demand service, UKTV Play, adding new features including increased personalisation and full Chromecast support. The new version of the app offers synchronised viewing history and favourites, allowing viewers to pause on one device and resume on another. It also uses artificial intelligence to learn viewing preferences and interests to serve a personalised selection of shows, box sets and collections from across UKTV’s free-to-air channels – Dave, Yesterday, Really, Drama and for the first time Home. “UKTV Play is focusing on delivering the most personalised viewing experience in the marketplace,” said UKTV’s general manager, Tom Davidson. UKTV said that Play experienced a 36% year-on-year increase in views last year across all platforms to pass 140 million. It also claims more than 1.8 million users have signed into the service since it introduced mandatory registration last year, a third of whom were aged 16-34. UKTV Originals shows Taskmaster, Judge Romesh and Jon Richardson: Ultimate Worrier were the three most popular shows on UKTV Play last year, according to the broadcaster. 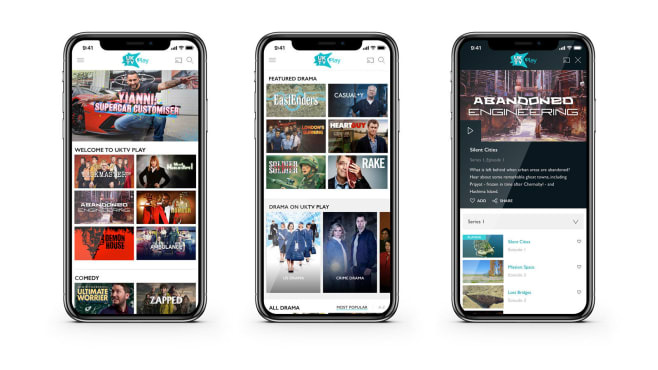 The new version of the app is available from today on iOS, Android and Amazon FireOS devices, with subsequent roll outs planned for Now TV, Roku, YouView, Freeview, Freesat, Fire TV and Samsung.